Ten years after militants attacked the town of Nalchik in the North Caucasus, the cycle of violence continues. On 13 October 2005, Nalchik, the capital of the Kabardino-Balkaria Republic, suffered the worst terrorist attack in the North Caucasus region since the Beslan school massacre in 2004. Gunmen carried out a series of coordinated attacks on the town’s military and public installations that claimed around the lives of 150 people, and injured over 100. These attacks shook the community in this small capital of a region often considered more peaceful than its volatile neighbours. But they were not unexpected. High rates of unemployment, poverty and corruption in Kabardino-Balkaria, coupled with a crackdown on Islamic religious practice, caused friction between the community and the authorities. Following the Beslan school massacre in North Ossetia, which was carried out by Ingush and Chechen militants, local authorities stepped up their crackdown. The official response was heavy-handed and disproportionate. The ensuing case has led to changes to the constitution of the Russian Federation. It has been the longest-running trial with the most defendants (57) in the history of modern Russia. A decade on, the never-ending spiral of violence and insecurity demonstrates that lessons have not been learned. In the aftermath of the attack on Nalchik, two Islamic militant groups, Caucasus Front and Yarmuk, claimed responsibility, as did Shamil Basayev. Nonetheless, in the following days, more than 2,000 people were arrested for questioning. Many had nothing to do with the militias. The men were beaten and tortured. Within weeks, brutal torture images of detainees were leaked to the press, causing outrage. This torture evidence was used during the trial, which saw many defendants retract their confessions, stating they had been tortured to incriminate themselves and others, and had signed confessions drawn up for them. Using American-style plea-bargaining for the first time, over a dozen detainees were released in return for incriminating others. 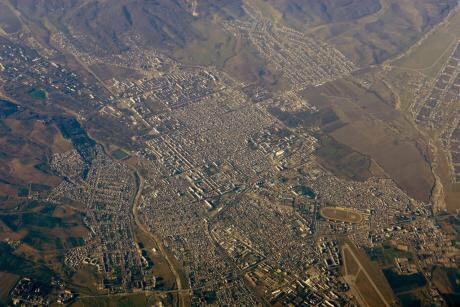 Nalchik from the air. Nalchik / WikiMediaCommons. Some rights reserved.By the end of the year, over 50 men were charged under various articles of the Russian Criminal Code, including murder, terrorism, and armed rebellion. According to the prosecution, the purpose of the attack was to effect ‘violent change to the Russian constitutional system, violate its territorial integrity’ and create an ‘Islamic state in the North Caucasus’. In the case of the latter, the international dimension tied them to the global ‘war on terror’, and the authorities’ disproportionate response found the perfect scapegoat in Rasul Kudayev. Kudayev was never charged in US detention in Afghanistan or Guantánamo, and charges brought against him in Russia shortly after his return in 2004 were quickly dropped. Although physically disabled and with an alibi, Kudayev emerged as a key defendant and was accused of being a militia leader in a case of mistaken identity. During the pre-trial stage, the defendants asked for a jury trial but when it became clear that no jury would agree to be empanelled in such a sensitive case, in order to proceed with the prosecution, the constitution of the Russian Federation was changed instead. Initially rejected as illegal, in 2010, the Criminal Procedure Code was amended to exclude juries in such cases, and was applied retrospectively. The trial itself did not start until 2009. 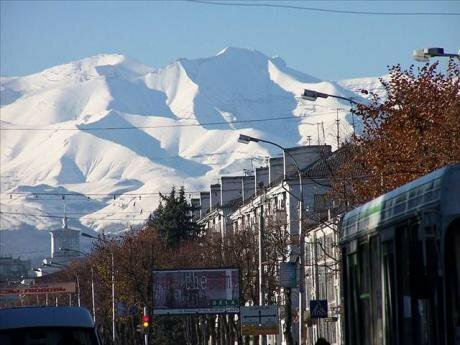 Nalchik. Nalchik / WikiMediaCommons. Some rights reserved.When the hearing ended in January 2014, the prosecution pressed for the harshest sentences, including life sentences for some defendants. Judgment was supposed to be made by the end of June 2014, but was delayed until 23 December 2014. In the interim period, new amendments were made the Criminal Code in July 2014 so that only the charges and the verdict would be read out to the defendants upon judgment, not the substantive argument, restricting their ability to appeal. More than nine years after the attacks, the three-judge panel found all of the 57 defendants guilty in December 2014. Lengthy sentences were handed down, including five life sentences, all to be served in penal colonies. At the end of September, a defendant whose case was heard separately was also convicted. The shambolic nature of this decade-long process is perhaps best concluded from the fact that in a case involving mass murder, no-one was convicted of this charge: all are guilty of the attacks but not for killing anyone during them. Appeals have been brought by 53 of the 57 who were convicted. Two other defendants died prior to sentencing. As a result, these men remain in pre-trial detention a decade on. No date has been set for the appeal hearing, but this process is likely to take years, and if unsuccessful, lawyers have said the case will be appealed before the European Court of Human Rights for breach of fair trial rights. One prisoner who later withdrew his appeal, Sergey Kaziyev, died following a 90-day hunger strike in August. As far as I know, Kaziyev is the only prisoner in the post-Soviet era to have died in such circumstances. He was released under house arrest in 2011 for treatment, but was re-incarcerated following conviction in December 2014. Kaziyev withdrew his appeal and insisted he be sent to the penal colony to serve his sentence, as from there he could apply to be released on medical grounds. A similar application from pre-trial detention was not granted before his death, even though he was in urgent need of treatment. A prison medical assessment claimed he had no serious illnesses. He ended his hunger strike days before his death. The heavy-handed response to the 2005 attacks and the sentences handed down last year failed to break the circle of violence in Kabardino-Balkaria. At least 40 people are reported to have died in 2014. Although the number of casualties has fallen in the last few years, armed conflict, corruption and impunity for state officials implicated in human rights abuses against civilians continue, along with resentment. The harassment of young Muslim men, a root cause of violence in the North Caucasus, also continues. In August, a list of ‘potential extremists’ was drawn up, with the police questioning the families of those named, citing orders ‘from Moscow’. In July and August, over a dozen people were killed in counter-terrorism operations in Nalchik. In the July operation, six people were killed, including a doctor. It was later claimed they were linked to Islamic State militants. Prosecution and due process remain better ways to establish the threat any person poses than extrajudicial killings and impunity. It is not just alleged militants who are caught in the trap. Independent journalist and Yabloko party activist, Timur Kuashev, who had been covering the Nalchik case, ‘disappeared’ on 31 July 2014, only for his dead body to be found the next evening along the roadside of a Nalchik suburb. ‘Foul play’ was suspected, with his death in retaliation for his activism, although there were no marks of violent treatment on his body. More than a year on, the investigation into his death has resumed. The autopsy of Kuashev’s body found a trace of a needle prick under his arm: it has been suggested he was poisoned. A decade on, the current situation shows that there is no interest in justice and fairness, not even for the victims. Instead, laws can be changed, impunity prevails and those who ask questions can be silenced.